Art and Architecture of Ireland is a five volume set of books that catalogues the history of Irish Art and Architecture. 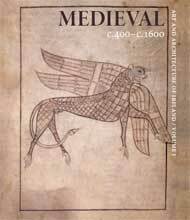 The books are a fantastic resource for anyone with even a passing interest in the Art and Architecture of Ireland. As a photographer it was a real joy to be involved in a very minor way with the production of the books. All five volumes are incredible works of academic insight, the books draw together many of the authoritative experts on irish Art and Architecture. The volume on medieval architecture and art from C.400-C.1600 is the most amazing collection of writings on the subject. My own involvement was mainly with the volume on Architecture from C.1600 to C.2000. This voLume , edited by Rolf Loeber, Hugh Campbell, Livia Hurley, John Montague and Ellen Rowley, presents a concise narrative of the last 400 years of Architectural history in Ireland. The book provides an analysis of Architectural history, historiography and the history of the Architecture profession. and also from all good book stores.